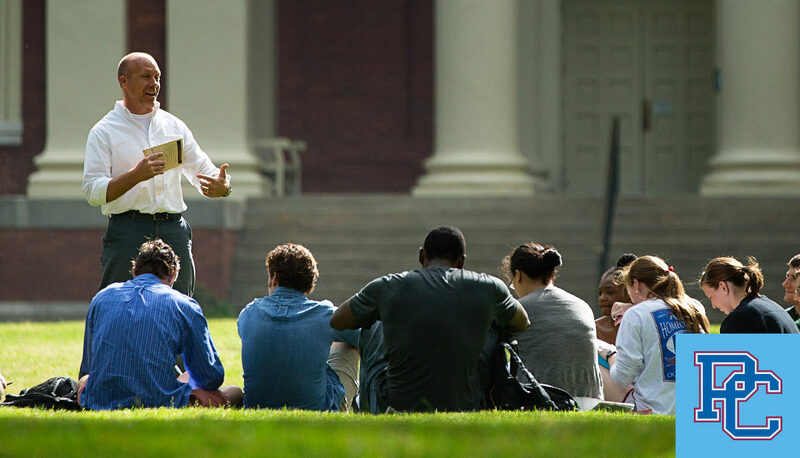 It’s often hard to articulate what pulls a student toward a particular college, but the word we put to it for Presbyterian College was inspiration. It stuck. The College’s particularly inspiring ability to inspire stems from high-quality academics and the service-oriented, close-knit community that PC fosters. “Be Inspired for Life” is the brandline that we presented. It arose from the comprehensive analysis BD&E prepared for the school. Presbyterian College opens minds to new ways of thinking and offers unique learning experiences as well as countless ways to live while serving the community. PC students are inspired about life, for the rest of their lives. So the brand was a perfect fit. BD&E helped Presbyterian College tell its story across a multitude of platforms using student experiences, faculty perspectives, and the successful outcomes of alumni to highlight what makes the school shine. An official viewbook was designed to engage prospective students and showcase the school’s new brand identity. We also revamped the school’s website to reinforce ideas touched upon in printed materials, and created outcomes pieces featuring alumni to showcase the true value and impact that arises from a Presbyterian College education. For Presbyterian College, restoration, renovation, and expansion of its main academic building was a critical initiative. PC relied on BD&E to develop a capital campaign targeted to a broad audience of potential donors. The “Neville Renewed” campaign began with a direct-mail strategy, including an informational booklet highlighting the project, a multi-touch postcard mailing, and a commemorative print of a commissioned illustration of Neville Hall. Collectively the pieces built on nostalgia, tradition, and pride. In addition we produced an award-winning campaign video showcasing the restoration and expansion through stories told by students, faculty, and alumni. Neville Renewed successfully achieved its goals. The Blue Hose Victory Fund was developed to supported PC’s athletic program, providing resources for student-athletes and coaches to excel in NCAA Division I athletics. To launch the campaign, BD&E created a brochure featuring dramatic photography to emulate the strength in PC’s athletic programs and help frame the goals of the campaign. Primarily aimed at alumni, the piece is valuable in the College’s efforts to promote athletic engagement. In order for a brand to be truly effective, it must be conveyed consistently across all platforms. BD&E developed a website for Presbyterian College and its School of Pharmacy to communicate the College’s newly refined image across the internet. Using a new, clean design and color palette, the website is easily navigated and aesthetically engaging across all platforms and devices.